Ahoy Buccaneers! 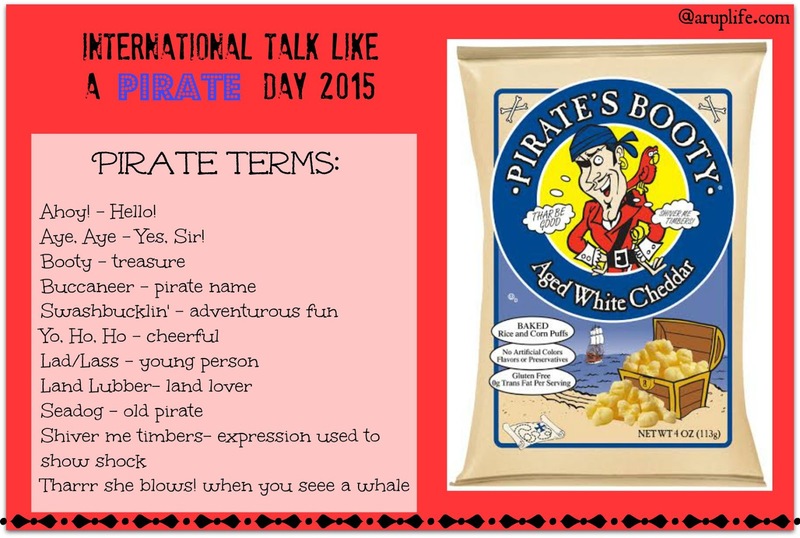 Saturday September 19th is International Talk Like a Pirate Day! 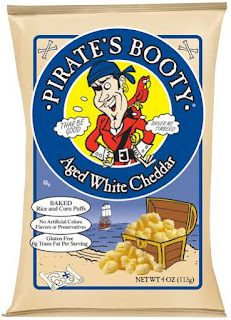 What better way to celebrate than with Pirate's Booty! You can join Billy Bones, an entertainer at Pirate School - where he will teach your Lads and Lasses all about high sea adventures! So grab your Land Lubber friends and join Pirate's Booty for a Swashbucklin' time! 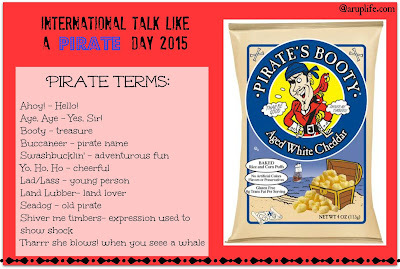 Visit Pirate's Booty Talk Like a Pirate for activities, downloads and event locations near you! Check out Billy Bones' Pirate School! 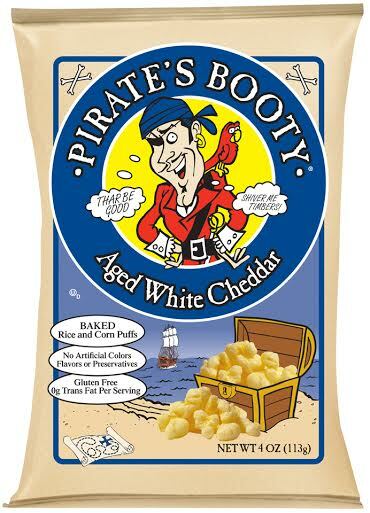 One lucky reader will win a Pirate's Booty Prize Pack! Pirates of the Caribbean: Curse of the Black Pearl! Love Johnny Depp in Pirates of the Carribean! That is EXACTLY what I was going to ask! I love all of the Pirates of the Caribbean movies and the ride at Disneyland! VeggieTales the Pirates Who Don't Do Anything is really cute. Hook is my favorite pirate movie. Pirates of the Caribbean is my favorite for sure. I always love Pirates of the Caribbean! I think Princess Bride is the best! My favorite pirate movie is Hook. I love Pirates of the Carribean! I would have to say HOOK!